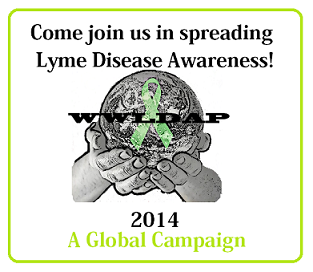 Blacksburg, Virginia Worldwide Lyme Disease Awareness Rally | What is Lyme Disease? Lyme disease awareness balloons, information, testimonials, and tick prevention tips. As part of the WWLDAP joining with Mayday we will also need people to put together carpools so big groups can get to DC where the main protest will be. Let Lisa Hilton know if you are interested. Please Help us Spread this Poster on Facebook, Twitter, Google Plus and Pinterest! Click Here to Print off Fliers to Help Spread the Word!